In order to ‘prepare’ as fully as possible for last Monday’s mammoth annual Australian tasting I opened our penultimate bottle of Peter Lehmann Stonewell Shiraz 1993 and drank it with lunch the day before. In the days when you still could carry wine in your hand luggage my wife had brought home a couple of bottles, after playing at the Barossa Valley Music Festival about 15 years ago. 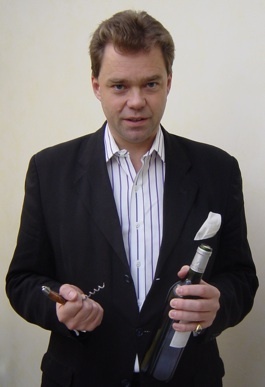 Stonewell sits at the top of the Lehmann portfolio but a big vertical tasting conducted in Dublin last year by winemaker Andrew Wigan left some doubts as to how well it ages. This time around the doubts were banished by a vividly coloured and vibrantly flavoured wine, replete with oodles of rich fruit and notes of liquorice and spice. My note on the same wine tasted exactly one year ago was moderately enthusiastic: “Appealing savoury intensity and spice, reasonable fruit.” This time around, and enjoyed with a hearty beef stew on an autumnal May Sunday, it fairly raced out of the glasses. The following day I foreswore the joys of hearty Shiraz in favour of the more capricious and, in an Australian context, less renowned delights of Pinot Noir. With New Zealand hogging most of the limelight for Antipodean Pinot Noir, Australian winemakers have been quietly getting on with the business of handling this tricky grape while the world looked elsewhere. With talent the likes of Phillip Jones of Bass Phillip in the van they have now passed through the ‘jammy and plodding’ phase and are beginning to make something entirely more appealing. Then it was off on the ‘Riesling Trail’, darting and dodging around the room before it became too crowded. Easily the best wine here was the Wigan Reserve 2003 from Peter Lehmann, which sported an appealing 11% alcohol in amongst a “splendidly intense” flavour. 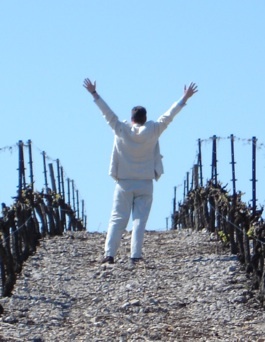 I have always been a fan of the Jacob’s Creek Steingarten – except when it is too young. 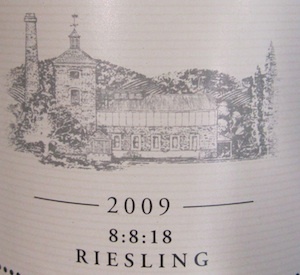 The 2010 on show last Monday sported all the cosmetic characters that make young Riesling unappealing. It doesn’t have to be aged forever, just a year or so to let the flavour sharpen up and lose the puppy fat of extreme youth. I find it baffling that any producer would choose to show a Riesling this young – and that applies right across the board – the Pewsey Vale 2010 was similarly afflicted, yet I am sure it will be a gorgeous wine 12 months down the track. Most interesting of all the Rieslings was the Knappstein 8:8:18 2009. This is an early harvested, off dry (but very definitely not sweet) wine with a mere eight per cent alcohol. Zingy and tingly and fresh, this is delightful stuff. What it lacks – the screeching acidity that dominates too many Clare Valley Rieslings, making them appealing only to aficionados – is equally worthy of note. More of the same please!